11TH ANNUAL CAM JAM ANNOUNCEMENT!!!! 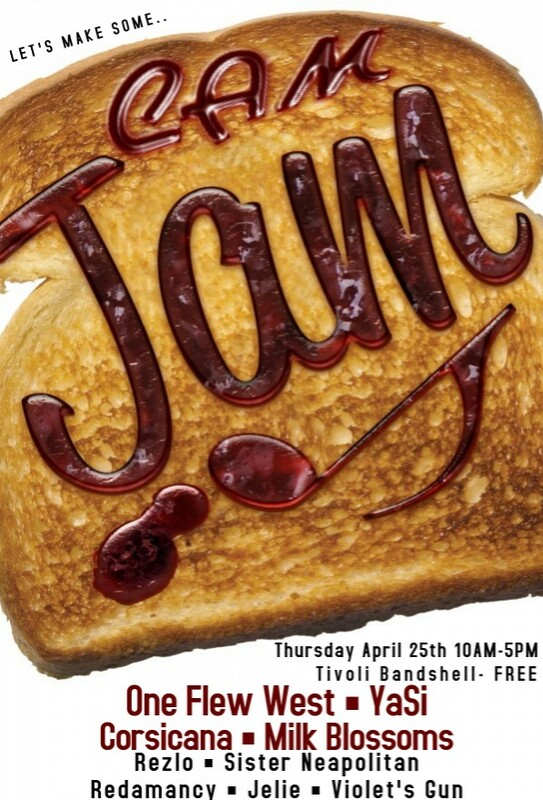 Join us for the 11th annual CAM JAM hosted by CAM Records and the Sustainability Fair which features current and alumni CAM Records artists on April 25th located at the Tivoli Bandshell from 10 AM - 5 PM! Headlining the show is One Flew West, YaSi, Corsicana, & The Milk Blossoms supported by acts like rezlo, Sister Neapolitan, Redamancy, Jelie, and Violet’s Gun! Come out for some free coffee and food!